I have told you about my love for string states, but this fun bakers twine heart could be just the thing to get me out of having to make a giant Texas shaped string art piece. Of course, it is a cute Valentine's decoration, but I would leave it up all year long! And the bakers twine is so much more fun than just plain string. 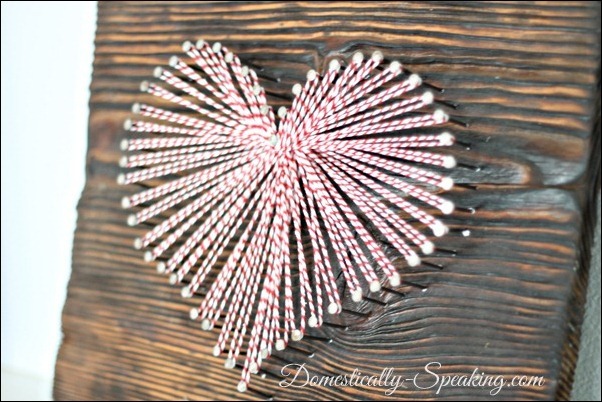 You can check out how to make a bakers twine heart over at Domestically Speaking.